The gift card of Da Vinci Restaurant is a valuable gift suitable for everyone. It helps you to enjoy the most incredible tastes and excellent service. 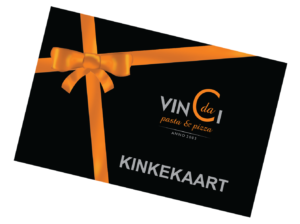 Ask the servers of Da Vinci restaurants about the gift card. Da Vinci restaurants are located in Kristiine Shopping Centre, Rocca al Mare Centre, Järve Centre, Tasku Centre in Tartu and in Kaubamajakas in Pärnu (click here for more information).